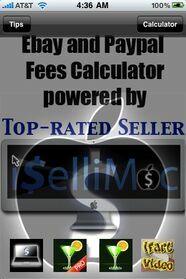 eBay and Paypal fee Calculator provides the necessary tools to determine your fees when selling on eBay. Find out how much you lose to fees before you list your item. Note: only working correctly for Buy it Now items. It needs to be updated to work correctly with auction items. 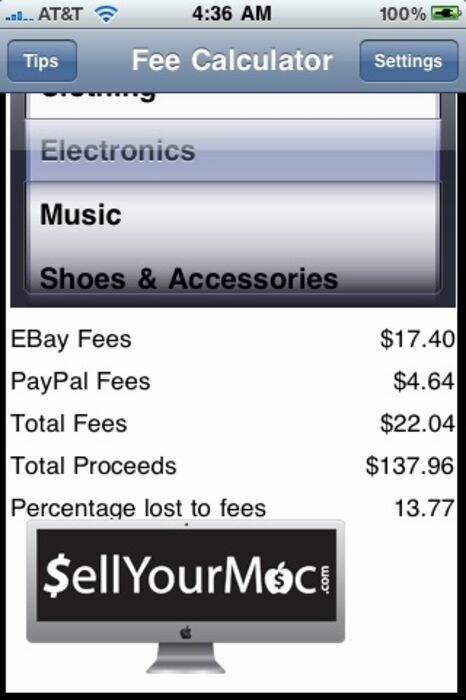 There are a lot of fees associated with using eBay, so now you have the power to determine your final profit on the items you are selling. 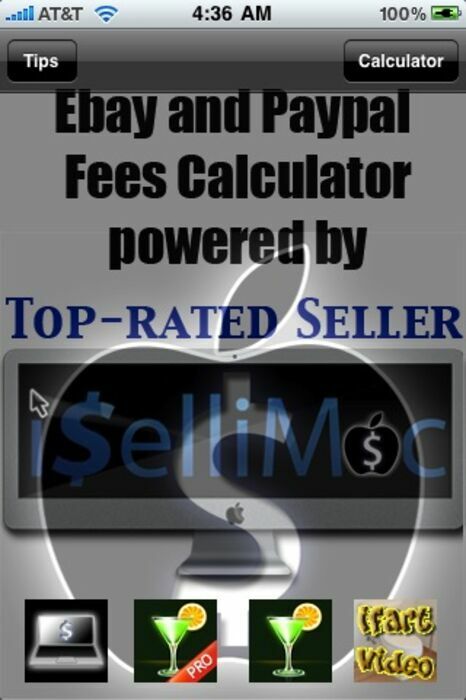 This calculator was designed by an eBay PowerSeller and Top Seller iSelliMac! 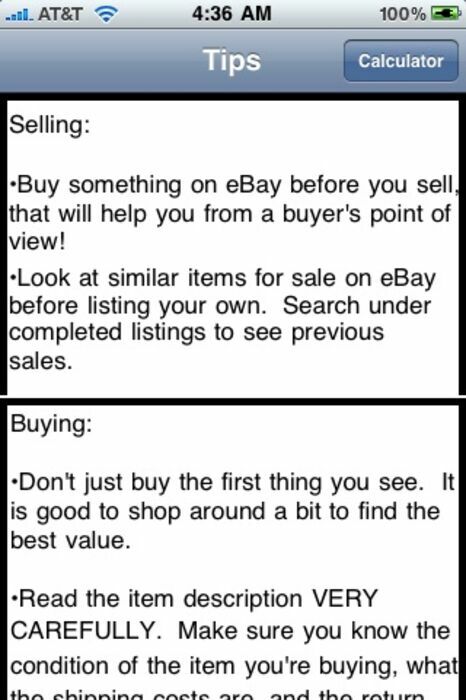 Free Tips for eBay sellers and buyers included! Updated layout and functionality. New home page design and added borders in other page layouts. Updated button functionality in calculator and added pop up instructions. Settings page saves settings and starts off on standard settings. Note: only working correctly for Buy it Now items. 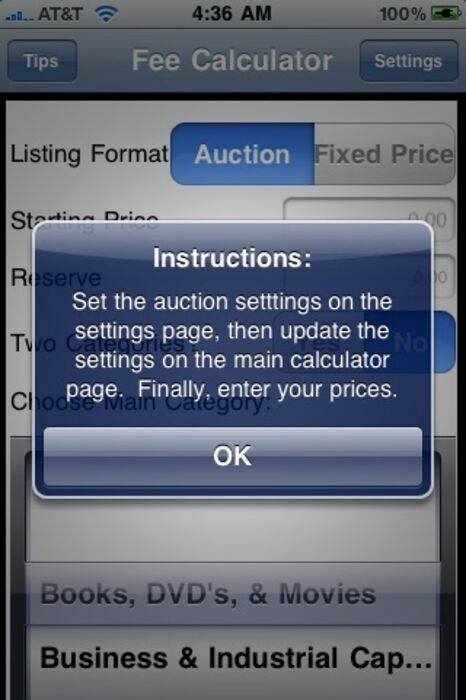 It needs to be updated to work correctly with auction items.